Hello and welcome to the I Want More Comics Podcast! On this episode we discuss Denver Comic Con! In the News we talk about the Black Panther trailer, Harbinger Wars 2, and Scott Snyder leaving monthly Bat titles. In picks of the Week Zack chose Batman #24, Sean chose Babyteeth #1, and Richie chose Dark Knight Returns 3 #9. In Spinning the Racks we discuss Denver Comic Con 2017, where to find us (Booth #1360), and some of our past experiences. 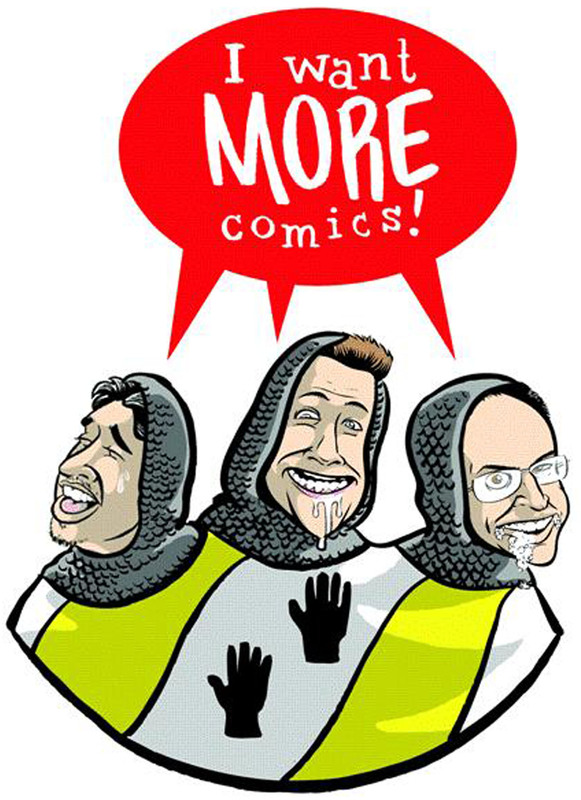 Thanks and join us again next week for another episode of the I Want More Comics Podcast!